Welcome to our Melitta Caffeo Solo review, an affordable machine by a quality brand as you’ll discover on this page. Coffee is becoming increasingly popular right across the globe, and if you want to take your love of coffee to the next level then the Melitta Caffeo Solo coffee machine with milk steamer is a perfect buying choice. Put simply, this sophisticated machine is easy to operate while providing a wide range of coffee making options, allowing you to get the perfect cup of coffee time after time, just the way you like it. Forget instant coffee, you can even forget heading out to your favourite coffee store, this beautiful looking machine will give you a rich, full flavour that could have come from an expert barista. This review is for the E953-101, but it’s also available without the milk steamer arm as the E950-101 model. 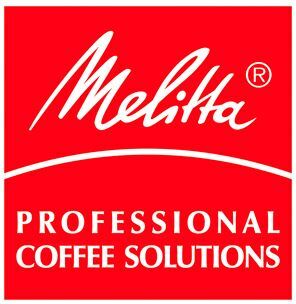 Melitta is a name you can trust, in fact they’ve been making high quality domestic machinery, with an emphasis on coffee, since 1908, so that’s more than a century of helping householders get the coffee that they love, when they want it. It’s a company that believes in functionality and innovation, and one that actually invented the coffee filter. Times have changed, and today’s consumers want a fresh and authentic ground coffee taste as opposed to the instant coffee within seconds. Flavour is king, and whilst the Melitta Caffeo Solo certainly won’t disappoint on that count, it also won’t keep you waiting when you want your next cup of delicious coffee. Because coffee is so popular now, there are a large variety of bean to coffee machines available, not just from Melitta themselves of course but also from companies such as Gaggia and DeLonghi, so what makes this one stand out from the crowd? Whilst still being affordable it boasts a wide range of features that you’d expect to find on much more expensive machines, and its ease of use and cleaning makes it an ideal choice for a busy household where saving time is just as important as saving money. Let’s take a closer look at some of the features that you’ll find on this luxury coffee maker. Yes, the main function of a coffee machine is to produce great tasting coffee on a consistent basis, but that doesn’t mean that looks aren’t important as well. Everything in your home should complement the overall aesthetic. If you’ve worked hard to create a beautiful clutter-free kitchen then you certainly don’t want to ruin the effect by having a huge coffee machine dominating the work surface and fitting in with nothing else around it. That’s not a problem you’ll have when you purchase the Caffeo Solo. It’s delightfully compact, meaning that it won’t take up space that can be at a premium in modern homes. Whilst small, it certainly doesn’t disappoint on looks. It has a classic black gloss exterior which is enhanced by the reflective silver fittings. It’s timelessly chic, and will really catch the eye of visitors to your home without being overly obtrusive. With a weight of just 9 Kg, and a width of only 20 cm it’s easy to move around and truly portable. Have you ever felt excited by a coffee machine and yet stopped using it within a few weeks? The chances are that it was because you found the machine difficult to clean and maintain. Drinking high quality coffee is one of the most pleasurable experiences we can indulge in, but that doesn’t mean that it has to bring a painful cleaning process afterwards. Melitta have more experience in making coffee machines than anyone, so they understand what their customers are really looking for: ease of use. The Caffeo Solo is designed to be simple to clean. It comes with easy to follow cleaning instructions, and with a removable water tank there are no parts that are difficult to access. Because it’s small and compact, it takes no time at all to clean and it comes with a bottle descaler and cleaner as standard. Hygiene is obviously of the utmost importance, so this coffee machine also comes with a water testing strip ensuring that you are using great water for your great coffee. How do you like your coffee? A short, sharp, strong espresso in a tiny cup to give a jolt to your day, just the way the Italians love coffee? Maybe you prefer an indulgent cappuccino with a creamy, frothy top to give a mild pleasure to your taste buds? Everyone likes their coffee slightly differently, and this compact Caffeo Solo machine allows you to make a cup to your specific taste. Optimized for use in making either espresso or cappuccino, the simple controls allow the user to select from three different strengths. There are also three different brew temperatures to choose from, and this allows the user to make a truly professional tasting cup of coffee. One of the best features of all is the milk frothing nozzle that allows you to add just the right amount of creamy froth to your coffee, enhancing the appearance as well as the taste of your drink. If you think that great tasting coffee has to be difficult to make, then think again. Whilst it comes with comprehensive instructions, the Caffeo Solo machine is incredibly easy to use, even intuitive. You’ll be surprised how little time elapses from pouring in the coffee beans to getting a hot cup of coffee below. Talking of cups, the machine allows you to pour coffee in any quantity and features a height adjustable spout, that means that you won’t be limited to the short cups that you may have put up with on other coffee machines. The dual spouts mean that you can make two cups at one time, so it’s a great choice for people who like to socialize over a hot drink. The two very similar Melitta E950-101 and E953-101 Caffeo Solo coffee machine variations offer great features along with great value for money. If you’ve never used a bean to coffee machine before you’ll be amazed at how simple it is to use, and at the quality of drink that it provides. Its compact size adds to its aesthetic appeal, so it really will be a valued addition to any household. Whether you like your coffee strong or mild, espresso or cappuccino, this will deliver what you want whenever you want it.